Do you have what it takes to be a Semper Fidelis All-American? Time is running out to apply or nominate an athlete for the program. All applications are due Monday, December 31. 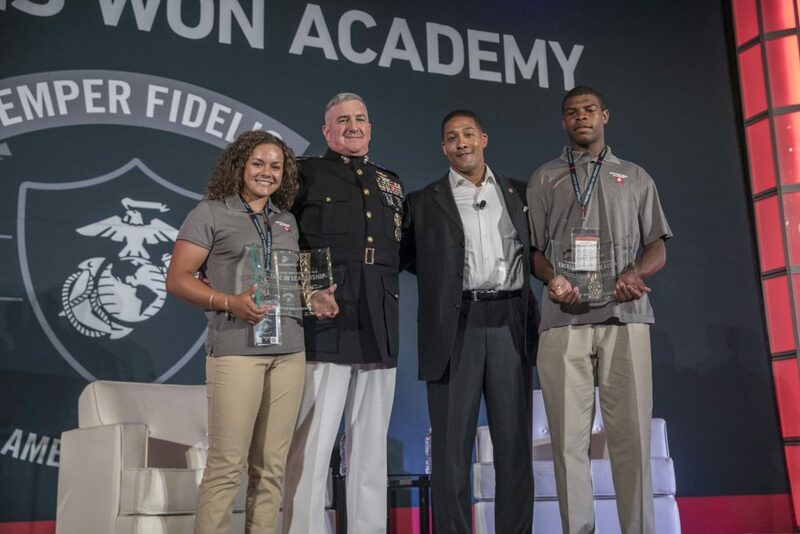 Selected Semper Fidelis All-Americans will receive an all-expenses paid trip to the 2019 Battles Won Academy, held in Washington D.C.. All-Americans will experience Quantico, tour the Nation’s Capital, and have an opportunity to network with an elite number of speakers sharing their own inspiring stories. Eligible applicants must be a Junior in high school playing a competitive team sport. Students will be selected for the program based on moral character and academic performance in addition to athletic abilities. Most critically, nominees must demonstrate a fighting spirit that improves the lives of their fellow citizens. Visit the website to learn more about eligibility.